We’ve got another (much more exciting) update about our Amazon FBA business. It’s been a week, our products are live, and we’ve finally got some hard numbers to report (more on this below). Anyway, we’re all totally exhausted, but we’re also pumped to finally have it out the door. if you want a discount, head over to https://www.nichepursuits.com/v3. Read the Full Podcast Transcript for Episode 66 Right Here! The last time we chatted, we were just about to get our new inventory back up and running. That included our proven product (our “winner”) as well as several new products. We’d been out of stock for about a month and a half—mostly because we sold out of our first “test” batch way more quickly than we thought we would. And that was great, but it definitely caused some growing pains. 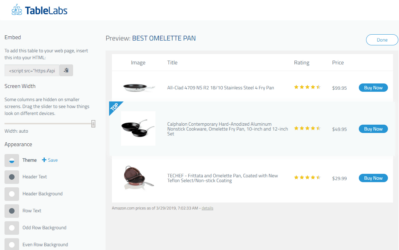 As of the time of this writing, two of those products are live on the Amazon marketplace: our first product (what we’ll refer to as “Product 1”) and another product (“Product 2). The other three products should also be coming online shortly. We’ve been pretty stinkin’ scared about our product going live again. We’d been out of stock for quite a long time (about 40 days), and we had no idea how that would affect our rankings and sales. Plus, we’d heard quite a few horror stories from our colleagues who’d gone out of stock and seen massive dips in their sales when they refilled their inventory. That’s enough to make any businessperson a little queasy. Needless to say, the day we finally relisted our product was pretty nerve-wracking. So how did our product do after coming back online? And, man, what a relief it was. Really, it was more than a relief. It was downright exciting. Remember that scene in Apollo 13 where Tom Hanks emerges from his destroyed space capsule, and everyone in the control room goes nuts because he’s finally safe, back where he belongs. That was us—only we were cheering over Skype and working at home in our pajamas. But the long and short of it is that our product started selling units quickly after we listed it. It did take a couple of days to recapture our previous sales velocity (5-8 units a day for this particular product). But that was only a couple of days, and we could see the sales trend rising rapidly (in fact, it still is). But those are good numbers. If you remember our last podcast, we mentioned that we think the maximum sales velocity for our first product is about 10 units per day if we don’t do any additional marketing. We’ve only been relisted for a couple of days, and we’re already flirting with that benchmark. If that doesn’t sound like a lot, keep in mind that with our per sale revenue, and our profit margin is about 40%-45% after manufacturing, shipping and fees. So selling 10 units a day amounts to roughly $200-$300 per day in profit, or $6,000-$9,000 profit per month. That’s a pretty significant win, my friends. The best part? We really didn’t do much. We just refilled our inventory and relisted the product. We didn’t do any additional promotions. We didn’t chase after any other reviews. The product just picked up where it left off. Here was our basic process to get it back up and selling. I want to briefly cover our process for getting the product back on the Amazon marketplace. Not because it’s super complicated, but, instead, because it’s surprisingly simple. We realized we were going out of stock. We ordered another batch of our first product from the manufacturer. Our shipping company picked up the product from the port in China. The product is shipped to our shipping agent’s warehouse in L.A.
We sent our shipping agent UPS slips to get it to the proper Amazon warehouses. The shipping agent ships to the proper warehouses. Because we’d already created the listing, when the inventory is refilled, the listing starts to rank. We don’t do any promotion. The product starts to sell. We were actually planning on doing more promotional activities (giving away review units, etc.). But when it started selling so well after going back online, we decided to just hang onto the revenue instead of giving away products for reviews. But here’s the lesson (we think…): If you can build a good listing that sells products, Amazon will be happy to give you your rankings back when you restock your inventory. Why wouldn’t they? They want their piece of your pie, so if you’re moving merchandise out the door for them, they’ll be happy to send traffic to your listing. Of course, we’ve only tested this with one product, and we only got to test it because we accidentally ran out of inventory, but from our point of view, the results seemed very conclusive: if you have a good listing, being temporarily out of stock shouldn’t hurt you much. So, we’re rolling in cash now, right? After talking with a bunch of readers and listeners, I’ve noticed a trend: people think we’re pocketing all our profits. Going through the ordeal with our inventory—especially while trying to grow our Amazon FBA business at the same time—really drove home one of the primary lessons we’ve learned in this venture so far. This is a capital-intensive business. If an Amazon FBA product works (like our first product did), it tends to work really quickly. And that makes income reports seem really exciting. However, I began to realize that the income reports were exciting to us for a much different reason than they were for some of our readers. A lot of folks were under the impression that we were just popping open the champagne and banking all of our profits. We’re not. Currently, everything we make is going back into the business. Why? The early signs are that this particular business model, in this particular market, works really well. So, we don’t want to stop at $6,000 in profits per month. Why would we? It’s a business. And, as with any business, when you find a winning product/niche/line, the best way to maximize profits is to scale what’s working. So, yes… we could keep buying the same amount of inventory for the same amount of money and sticking the same profits in our bank account every month. And, sure, there’s money in that. In fact, that’s a relatively passive paycheck. But we’ve said from the get-go that we’re thinking big with this project. From where we’re standing we think the upper revenue limit for this business is really high, and we want to shoot for it. And this is even more important: you may have to order more inventory before Amazon pays you for the sales from the previous batch. There’s a 30-day delay before you get paid, and a 30-60 day delay before you can get inventory from China. So in that case, you’ll have to dig back into your own back account. Yes, Amazon FBA can work quickly. Yes, the money can come much faster than it does with a niche site. Yes, seeing those dollars stroll through the door is exciting. But to make this a real business, you have to use your capital to grow it, and it won’t fund itself in the beginning. In Spencer’s estimation, we probably won’t see a dime of our profits for at least another six months. And, in fact, we’ve already invested more money from the business’ bank account to add products and keep inventory stocked. You’re essentially borrowing money from yourself (against your future profits). So I think it bears repeating: this is not a niche site. It’s an inventory-based business, and product-based businesses are capital-intensive. One of the things we’ve been learning more about is the power of building a great listing. A few of those things are pretty straight-forward. It’s very easy to get good pictures, and most people can tell if copy is good or not, and just hiring an experienced writer goes a long way. Finding a good angle isn’t super tough either as long as your product is unique in some way (although we found the hard way that it’s tough to come up with a good angle for some products—more on this below). What can be hard, though, is keeping your average review high. Of course, the very first thing you want to do is make sure you’re selling a good product. You mostly do this by ordering samples and picking good products to sell in the first place. But what if you get a negative review? Well, we did, and here’s how we handled it. In a nutshell, one customer was dissatisfied with the product—but in a really dumb way. We push the unique feature of our product really strongly. For example, if we were selling a pink showerhead, our listing would sell that feature (e.g. “Awesome pink showerhead; perfect for girls!”). It was kind of silly, but we didn’t want the negative review to dissuade potential buyers from placing an order. So, Spencer put his customer service hat on and did what any good entrepreneur would do: started a dialogue with an unhappy customer. He was very nice about it, asked why she didn’t like the product, and offered to issue a refund (we did give their money back). The important part is that you can’t ask for a reviewer to remove their review. However, because she’d gotten a refund and some good customer service, the customer removed her review on her own. This is something I’ve seen in my colleagues’ FBA businesses: great customer service. I’ve even seen people calling people on the phone to see if their customers are happy. This stuff goes a long way. Not only does it help mitigate the damage of a negative review, but it also helps garner great reviews from your existing customers. Of course, we prefer to keep our business more or less automated, so we’re handling most of our customer service with a series of three autoresponder emails that go out after someone buys one of our products. We do this with a program called Sales Backer. So far, it’s been working well, and it’s mostly hands-off. Chris Guthrie is the creator of Sales Backer, and it's been really easy for me to use. But here’s the thing: very few retailers follow up with their customers on Amazon. If you just set up a simple follow-up email series for your customers, it goes a really long way. We have one winning product, and it’s doing great. But what about the other product that recently went live? As of the time of this recording, it hasn’t made a single sale. Of course, we haven’t done much marketing. We haven’t given away any review copies, and we don’t have any reviews. However, our winning product made sales in the first 10 hours without having a single review. So even though we think we can get sales with a bit of marketing, the early signs certainly aren’t as strong as they were with product 1. We’re not 100% sure, but mostly, we think our second product is just too general to make sales on its own. This is a straight-up private label product. In other words, if product #1 is a pink showerhead, product #2 is just a regular old standard showerhead. That means there are many more competitors, and we’re competing for much broader keywords. Plus, it makes it a much more general angle. Are we going to give up on product #2? And that’s all that’s on our radar right now. We won’t make any final decisions about this one until we’ve built a great listing. We’ll see, and we’ll keep you updated. What about your other products? Nothing much to report here. They’re on their way, and we’ll have them listed shortly. We’re really looking forward to that. We’re pumped to expand our product line, and we’re excited to see what we can learn (…and what knowledge we can pass along to you) from a portfolio of products. That’s it for now! What’s up in your business? You guys really haven’t told me enough about your businesses lately, so let ‘er rip in the comments! Perrin is making good points and I can’t stress this enough. FBA is a business with physical products. If you are going to try this, you will be spending a lot of money to get your business and products off the ground. This is NOT SEO and Niche building, where you can get started for a few hundred bucks. I have seen others present FBA as a slam dunk and easy to do. But, it is not. The rewards may be greater, but so are the risks and financial outlays. Be prepared. Hey guys! I have 10 minutes left to finish this episode, but I had to come on here and comment. With all the respect in the world, It’s killing me that you guys don’t seem to realize the benefit and potential of running amazon’s sponsored advertising. Perrin mentioned that for your product #2, ya’ll need to get “aggressive” with reviews…That is true, but you also have to get aggressive with amazon’s ppc to help you drive sales and help rank (eventually) MUCH quicker than you ever will without running these ads. If you haven’t heard of them yet (and I can’t imagine you haven’t) Scott Voelker and Ryan Daniel Moran are the ONLY guys you need to be listening to to succeed in this business. Wait for our next podcast! That’s when we realized this is exactly right! Great going guys! Nice to see another method of income than affiliate sites since making affiliate sites rank requires waiting 4-6 months. You’ve mentioned Long Tail Pro. I’ve noticed that more and more PBN users are blocking bots, specifically ahrefs, majestic and OSE. And because of this I’ve noticed that the stats in LTP don’t really represent the actual ‘strength’ of the top 10 sites, since KC, their PA, # of links and Juice links aren’t being included by OSE (as they’re blocked). Hi Spencer, Perrin Great podcast! definitely got me motivated ! 1. I want to know in what cases Amazon will reject my product, will be a big risk if I bough $10000+ worth products then later find out Amazon reject it. Just a quick look at the amazon website, it seems there are requirements for each catalog, some product u need to have a PSC mark to meet the consumer safety act, how about copyright issue or any of that sort?? how do you go about getting these, it seems this requires alot of paperwork, long process. 2. Also, when you put your logo on your product, don’t we need to register a business name/ license along with it? and how about patent too? I find it hard to believe we can simply change an existing product and then simply put our own logo and legally call it our own. thanks guys.. keep up the good work! 1. If someone is selling something similar on Amazon already, then Amazon won’t reject your product. You can always ask amazon support before listing your product if you have concerns. 2. No need to have a special license (usually). No, you don’t need to register an official business name or patent. (Although I do have a legal LLC…but its not required). If you ARE the manufacturer, you can certainly call the product your own…because it is (this is what private labeling is all about). It’s so tempting to jump on this FBA bandwagon. I can’t tell if its the new model of ecommerce online or a hot trend with diminishing returns. 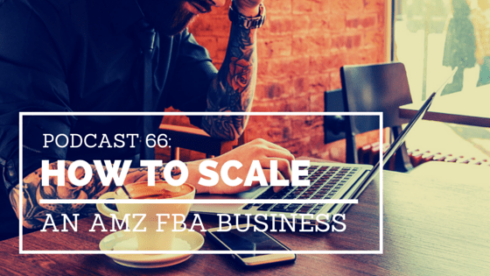 So many people are making scalable money with FBA, its getting tougher and tougher to keep ignoring it. Oh, we’ll get there for sure…don’t worry :). We have literally been selling our products for less than 2 months (product was out of stock for another month and a half or so)…give us some time to scale 🙂 Still done about $14k in revenue over past 30 days. So, give us a few months to scale production and then really scale PPC…we’ll get there! Hi Spencer, Perrin, Sorry for the silly question, but I am not getting a clear answer anywhere. I just want to know, Can I join amazon affiliate program of any country and can join for more countries like US, UK, Canada etc. You guys have really reached a great milestone with the FBA program. I agree with what Matthew said, I’ve been reading about the Amazon FBA for awhile now and I’ve also come to realize that it requires a huge sum to start. 1. 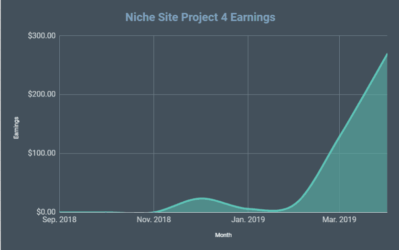 Niche v authority sites – I’ve started a few niche projects…but I think they are quickly turning into authority sites (focus on high quality content, good information, good links). What’s the trick here other than outsourcing the content writing, social and potentially the link building? 2. Pinterest – I know for mainstream news and entertainment sites Pinterest drives a ton of traffic. Pinterest is a bigger source of traffic for Buzzfeed than Facebook. Do you think there are niche opportunities here? Do you have any more lessons from the Pinterest crafting site you purchased that you are willing to share? 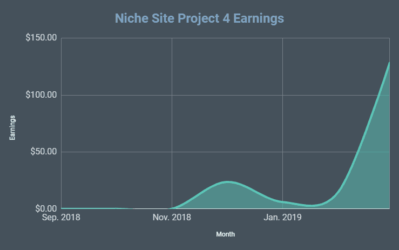 Listening to past episodes you sounded very negative on the site because of the adsense problems but the strategy and revenue sounded great in the circumstances. 3. Information products – Not a dig directed at you guys but the internet/affiliate marketing space is full of people trying to sell ‘how to’ information products. If their techniques and strategies are so great why are they willing to share them with me? Unless that is the margins and scalability and of their original market are less attractive than information products? 4. Languages – Obviously the biggest opportunities exist for the US market and English search terms but have you experimented with niche sites in other languages? 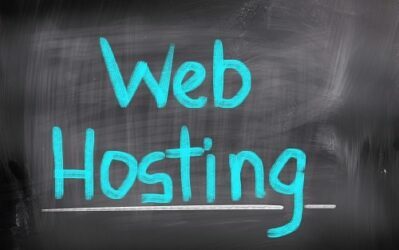 How would Google treat a niche website with the same content in English and German? 1. No other trick, but finding great ways to produce content and get great links can be a huge topic of discussion…but that’s it in a nutshell. 2. No major lessons other than pinterest can be a great source. Sharing lots and lots of pictures is a good place to start. 3. I agree. Some people do both though…really do make good money their “real” business and the “information” business. Sadly, lots of people sell crappy information as well. 4. No, haven’t really tapped into other languages. But this could certainly work for other languages…traffic just might be lower in many cases. I’m glad this is really working out. Big question though… as you yourself said, this is a capital intensive method of making a profit (albeit a good profit at that). Will the demographics of this website change? Will your target audience change? By that I mean a lot of people probably came to the site impressed by how using keyword research and plenty of elbow grease a person could take perhaps $100 capital and end up with a decent earning website x months down the line. But now… now you’re talking about a method that needs a few thousand dollars to get going, and despite the enormous possibility of profit – is not risk free. … to a medium risk, medium work, large reward, medium capital methodology. Thanks Mike. This website has always been called “Niche Pursuits” for a reason. It always has been and always will be about the Niche Business Pursuits that I am trying out. 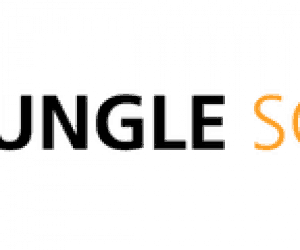 Its a blog about my own business ventures. So, I started this blog many years ago talking about selling used books online and creating an iPhone app. I then talked about building niche websites and then buying and selling websites. I even ventured into publishing kindle ebooks. Now, I’m trying out Amazon FBA. The only constant with my blog is that I will always be trying out different niche business ideas as I see fit. Readers can pick and choose what they want to read about it…I’m not concerned with any sort of changing demographic. I’m not trying to “tout” any sort of business for people to follow…I’m simply sharing what I’m doing in my business. Hi Spencer and Perrin. I’m really enjoying this series about FBA. It’s so tempting to at least explore. I have one few simple question, did you sell as a professional and did you create a new company or DBA to sell your product on Amazon? Of did you sell as an individual? My company is I.T. related for internet business and the name reflects that. If I wanted to sell hand soap, for example, on Amazon it would be a little strange if it were by a company whose name is unrelated to the product. Thanks for the thoughts. 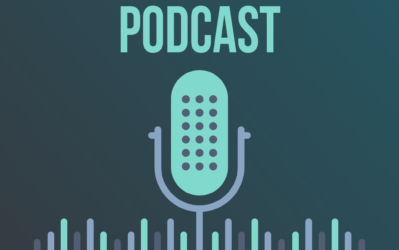 I’ve been following you, Spencer, for quite a while now, I’m a long time subscriber to Long Tail Pro and I really enjoy both Perrin and you on the podcast. Keep up the great work; I’ll let you know how my FBA test goes. 1. Yes, sold as professional. Yes, I have an LLC…but I didn’t create it for Amazon FBA…already had it. On amazon you input your legal name/details on the backend…but on the front end (that customers see), you can put any sort of name you want. So, no one will know you have an IT related legal name. You could call it “Jeff’s Soap” or anything else you want. Hey Perrin, I just want to say that this was an amazing read for me. I recently discovered nichepursuits.com when I was researching Long Tail Pro v3, and had no idea about your Amazon FBA project. Well, this was a great find for me as my boyfriend and I are in the middle of getting up and running with our own FBA business, and have our first product on the cargo ship as I’m writing this! We are following a business model that we got from someone who is already making a living off their FBA business, and it is different to yours in that we aren’t choosing a product with a unique selling point. Rather, we are identifying products based on a certain criteria and aiming to siphon off some of those sales. It was so encouraging to know that despite trying to figure a lot of this out for ourselves, we are on the right track. For example we planned that we wouldn’t see any of our profits for a good while as we would be putting it all back into the business – and that’s exactly what you guys are going to do too. It may sound simple but it’s our first time doing something like this and it was so good to read this and know that we are thinking in the right way and have a lot of bases covered. One thing I found very useful though was the tip about the delayed payment from Amazon. I hadn’t known about or accounted for that, so thank you so much. I’m really looking forward to following the posts on this site, and really grateful that you’re sharing it with us. That’s great Laura! Glad that you are finding some value from our FBA updates! Sounds like you are on the right track…hope your new product does well!